When her husband has disappeared under mysterious circumstances, a biologist is determined to go find him herself. 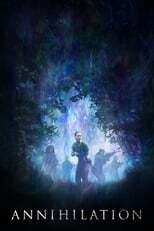 Annihilation is directed by Alex Garland and was released on Feb 23rd, 2018. Director Alex Garland's Science Fiction movie Annihilation is produced by DNA Films & Paramount & was released 2018-02-22.